America’s senior men and women are highlighted in this inspirational and uplifting documentary on their joy and pleasure in playing the great game of softball. Bob Costas, acclaimed nationwide sportscaster narrates as seniors in their sixties, seventies and eighties from all regions of the country are viewed in their quest for fun, camaraderie, sportsmanship and a healthy, happier life. Some didn’t begin playing until after their sixties, but play with a vigor that is exceptional for all ages. 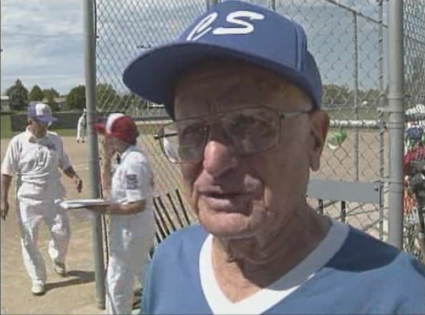 The video culminates with play in the Senior World Softball Championships.